The struggle between financial stability and journalistic ethics has long been a painful dilemma for newspapers, and recently it is only getting harder. Many newspapers and media institutions don’t have donors or funders anymore, and many others don’t have the tools and skills they need to stay afloat in today’s content-saturated market. 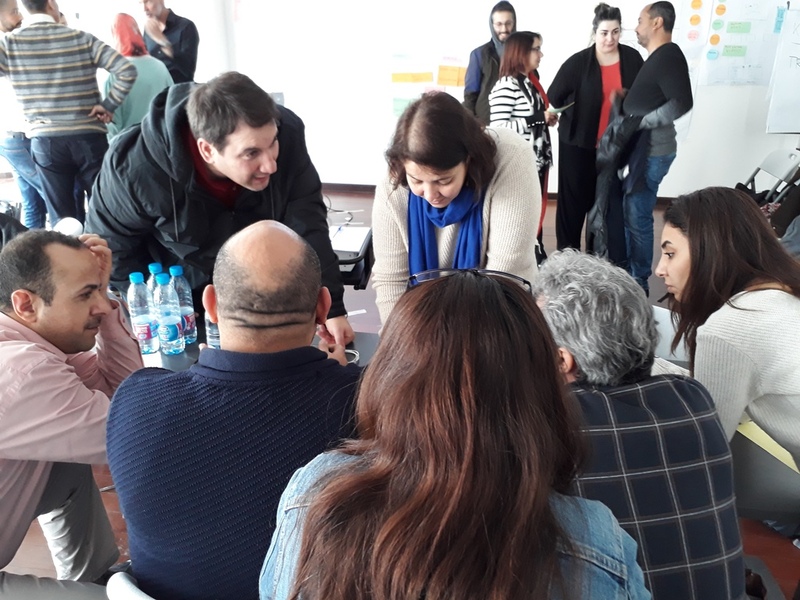 A four-day interactive workshop about media viability was organized this week by Maharat Foundation and its German partner DW Akademie in the hope of finding answers to these dilemmas. The workshop explored the latest practices in digital journalism and online writing, including practices like audience segmentation, user testability, content creation, SEO practices and social media penetration. 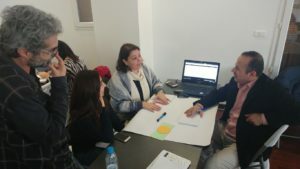 The workshop took place at Antwork space in Beirut, with 16 participants from five different countries in the region. Esteemed journalists and media managers were part of the group. The approach of the teaching was interactive rather than academic. The participants got to apply everything they learned to their own business model. Moreover, the workshop was very rich in content regarding core topics such as editorial guidelines, market and audience segmentation, tools for content creation, usability testing for attracting audiences, SEO practices and social media. There were two trainers at the event: German journalist and media trainer Peter Trzka, who has more than 15 years of experience in the industry, and Maria Fronoschuk, co-founder & CEO of media company Platfor.ma in Ukraine. What pointers did the participants take home with them? Set your objectives: You must know exactly what you want from the beginning, so that you can set your objectives and follow the right path; otherwise you might lose which strategy to follow. For example, a newspaper that plans on covering corruption in policies regarding water and sanitation will have a completely different editorial policy than, say, a fashion magazine. Set an Audience Centric Approach: Whatever your approach in content or social media or other frameworks, make sure it is audience-centric. You must know your audience very well because they will be the center of all your work, and therefore the measure of your failure or your success. Set Quality Content: For a smooth user experience, choose the kind of content you want to produce and not quantity. It could be media-centered, or advertisement-centered (to make money) or even human centered, such as these storytelling websites that choose emotional themes. Look at your competitors: You should also analyze the layout of other platforms and consider the design of yours. Distribute Tasks: If you want to have one important takeaway from this workshop, it’s that no one does it all by himself. Success is always a group effort. Sure, brainstorming may be easy when you’re alone (with all those sticky notes and highlighters), but when it comes to handling tasks and breaking them down, teamwork has to come into play. Don’t be afraid to experiment. You can’t know what really works without trying different ways and approaches to content (i.e.reports, slides, infographics, timelines, comics…), and testing this content (such as the A/B testing). Try to go Viral: Social media speaks volumes. Study it well and target your audience with crazy content that might actually go viral (cats and dogs anyone?). What impression did the trainers have of the participants? This workshop was the second module of Maharat’s 4-module program. 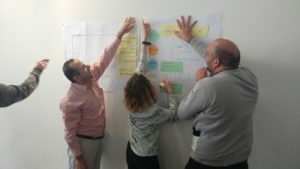 The two other modules will be organized in the next few months in Lebanon and Cyprus.